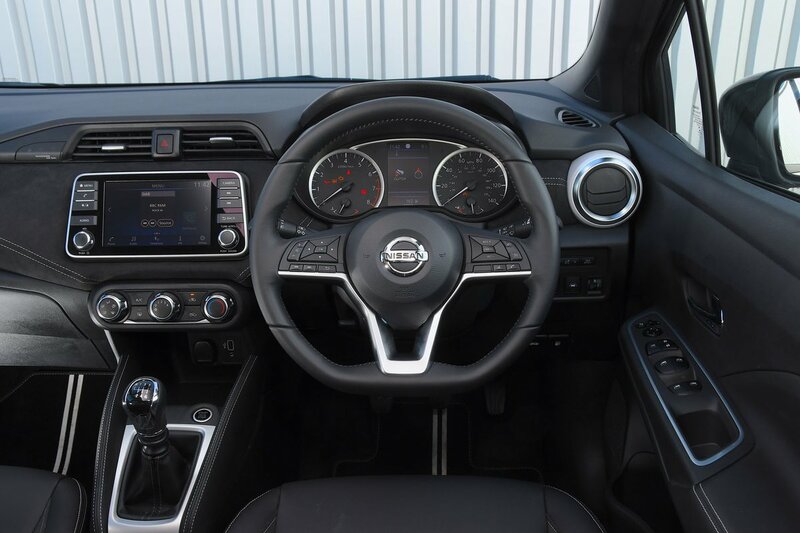 Nissan Micra Interior, Sat Nav, Dashboard | What Car? Most people will be able to find a driving position that works, thanks to the standard height-adjustable driver’s seat and a steering wheel that moves for reach as well as height. The dashboard impresses, too, with large, clear dials and well-labelled switches that are logically arranged. If you want an arm rest, though, you’ll have to choose N-Sport trim. The steeply angled windscreen pillars can obscure your view at angled junctions, but don’t cause any problems most of the time. However, rear visibility tends to frustrate. With thick rear pillars and shallow rear screen, it’s just as well you can have rear parking sensors and a reversing camera on some models. However, they’re only standard on N-Sport and range-topping Tekna models, being optional with popular mid-spec Acenta trim. Acenta trim and above comes with a high resolution 7.0in touchscreen that’s clearly laid out; it’s a pretty intuitive system even though some of the icons are a little small to touch accurately on the move. You’re forced to buy the optional Connect package or opt for the pricey N-Connecta or Tekna trims if you want built-in sat-nav and DAB radio, but Apple CarPlay, Android Auto and MirrorLink are standard on mid-spec Acenta models, allowing you to use your phone’s apps via the screen. The optional Bose stereo system includes speakers on the sides of the driver’s headrest and creates a very convincing surround sound effect. 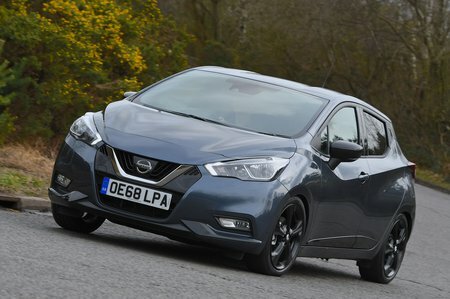 With a smart mix of materials covering the dashboard, the Micra is more appealing to sit in than many of its rivals. 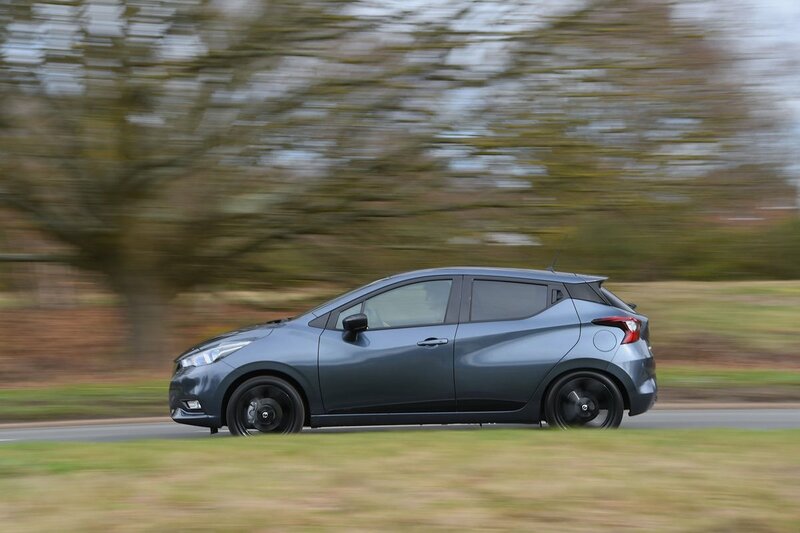 You can certainly see where Nissan has made an effort. Unfortunately, unless you choose one of the priciest versions of the car, the steering wheel is made from plastic and the gearlever from rubber, and these key contact points feel cheap. That’s particularly disappointing given that much of the competition applies a soft leather-like materials in these areas.